Let’s kick off the week with a look at the most traded currency pair in the foreign exchange market, the EUR/USD! 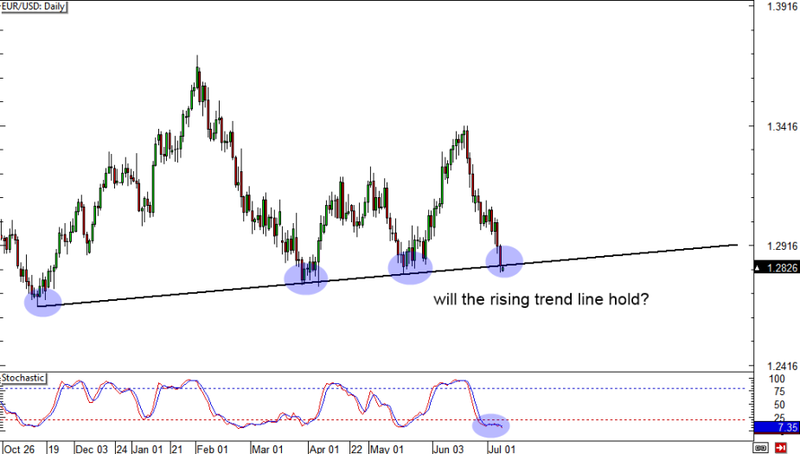 EUR/USD is at key level right now as it is determining whether it will bounce higher or break out to the downside. Price is testing a significant support level, which, if holds, could send the pair back up to former highs. It’s also important to note that the Stochastic shows that conditions are severely oversold. For those who love trading pullbacks, I have the perfect setup for you. 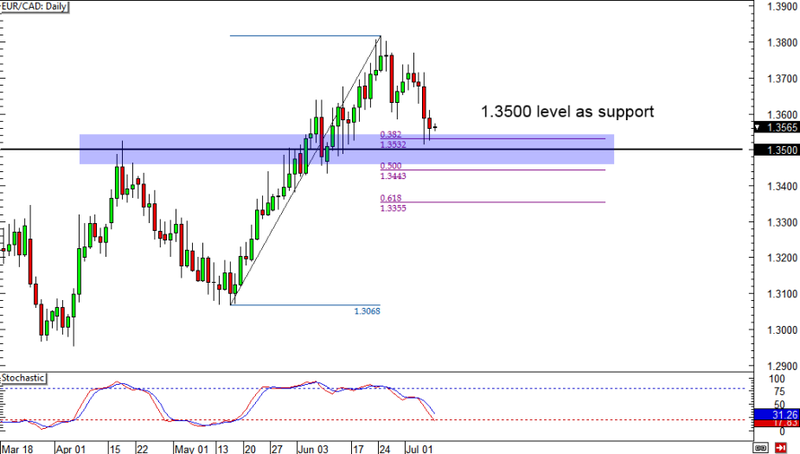 EUR/CAD, after rallying strongly and finding resistance at the 1.3800 level, has been selling off the past few days. From the looks of it, it is about to encounter significant support soon at 1.3500. More than being a major psychological level, it also lines up nicely with, not only a former broken resistance, but the 38.2% Fibonacci level as well. Another thing you should think about is that the Stochastic is about to reach oversold territory, which is a good signal that the bears could be out of steam. Watch this pair carefully for a potential long trade at 1.3500! Last but not the least is a long-term look at EUR/GBP. As you can see, the pair has stalled at the upper boundary of the channel, deciding whether it would break out to the upside or sell-off and go for another test of the bottom of the channel. 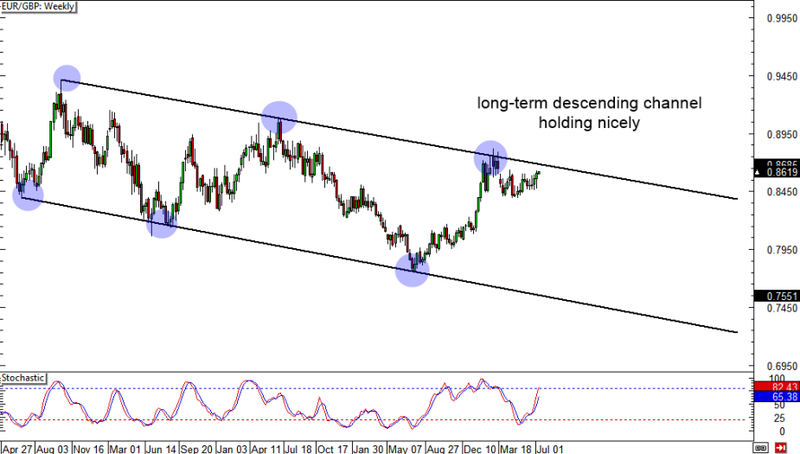 If you’re looking for a position trade, this could be a good short setup as the channel has been holding for more than three years now and the Stochastic is about to hit overbought territory.